Beverley Domestic Appliances have over twenty eight years experience in the sale, delivery and fitting of washing machines, dishwashers, tumble dryers, cookers, ovens, refrigerators and freezers – built in or free standing. We have a mixture of New, Nearly New & Reconditioned appliances, all guaranteed. Our showroom has a display of many leading brands which we can deliver & install the same day or next day, your old equipment disconnected and removed if you wish. Our already competitive prices can often be further discounted for customers who wish to collect their purchase from our showroom. Several of the brands sold in our showroom are currently only available in the Beverley, East Yorkshire area through Beverley Domestic Appliances. 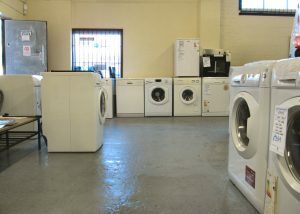 We also have an extensive stock of used, refurbished and reconditioned vacuum cleaners, cookers, ovens, washing machines, tumble dryers, dish washers, fridges and freezers – all of course guaranteed by Beverley Domestic Appliances. offered by Beverley Domestic Appliances which many Larger High Street stores cannot match. • A timed delivery, so you don’t have to wait in all day. • Items delivered installed adjusted and set by a trained & qualified appliance engineer, not a van driver. • A fast delivery and install if the item is urgent – being local this is possible. • Built-in specialist equipment fitted adjusted and set. • Competitive prices, our price includes delivery and installation (to existing services) most large stores charge extra for delivery / installation / removal of old appliance – on top of their shop floor price ! often £20 to £50 extra ! 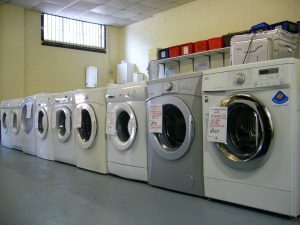 • Honest Company – many appliances are now supplied with a manufacturer’s 2 years, 3 years and sometimes 5 years guarantee, there are still instances of High Street Stores failing to inform you the customer of this fact, then proceeding to sell you the store’s own extended guarantee – extra cost for no gain. • Extensive Product Knowledge – Our staff have years of experience on the day to day installation and repair of washing machines, tumble dryers, dishwashers, freezers, fridges, ovens, cookers and vacuum cleaners. With frequent technical updates and training for the latest technology and products.